My Novels; SUDDEN DEATH, DEAD BALL, GOLD MEDAL THREAT and THE FIX are endorsed by NY Times bestselling authors: James Patterson, Clive Cussler, Wendy Corsi Staub, Tim Green & John Feinstein, Andrew Gross and John Lescroart. If they like the books, chances are, you will too! 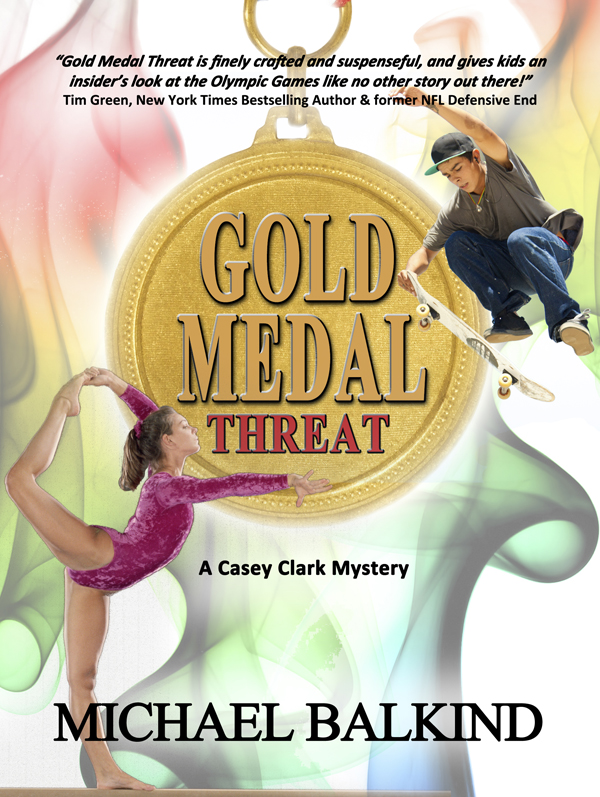 Book two in the Deadly Sports Mystery Series. Being a fan of Michael Balkind's first book, Sudden Death, I waited with guarded anticipation for the next book in the Reid Clark series. Not many authors can deliver when following up on a great first offering. With Dead Ball, the author scores a hole-in-one. Reid Clark is back and better than ever. Finding a hero that you can root for, care about and live vicariously through is the pinnacle of what an author can create. Reid Clark is definitely that hero. Who could not root for a man who is a master at a major sport, international hero, constantly a step away from mortal danger and all around cool guy? All this wrapped in a fast paced page turner that will definitely keep you reading well into the night. "DEAD BALL is a refreshing new thriller, blending murder, mystery, intrigue and suspense. There is something for everyone. A real page turner!" "Dead Ball is full-throttle action from the very first page!" "Michael Balkind has "Who-Dunit" again. Dead Ball offers an intriguing look at a different side of sports." 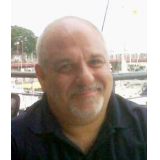 "Michael Balkind has done it again. I picked up this book and never put it down. I love a good mystery and this was it. Reid Clark and his "team" always keep you on the edge of your seat. The best part though was the ending. It doesn't get any better than this...until his next book!!! Keep them coming Michael!" 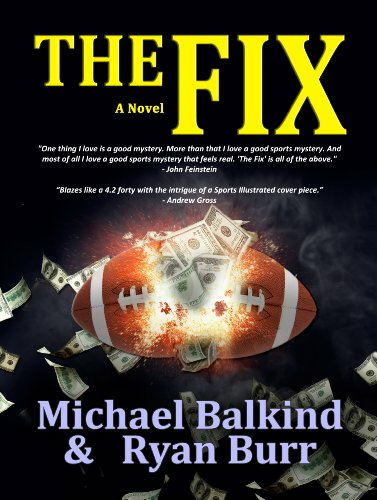 "Big Sport, Big Money, Big Suspense - Michael Balkind hit another one right down the middle!" "From the opening page of Michael Balkind's crackling thriller, Dead Ball, one thing, and perhaps only one thing, is certain, golf legend Reid Clark is being stalked by trouble. With the discovery of his best friend's dead body, Clark is propelled into a frenzied search for the killer with the aid of a team of capable and loyal friends including investigative genius, Jay Scott, who digs into the shadowy corners of the business side of sports only to discover even the most admired among them can have secrets which prove deadly. Balkind lays out the search for answers like the great golf course designer, Albert Tillinghast, laid out his fairways and greens, with a mix of challenge and reward, deception and epiphany, gracing his readers with an enjoyable walk through the pages culminating in a satisfying finish. Along the way, Balkind reveals his own appreciation for and knowledge of a wide array of martial arts and sports, making it clear why he chooses to base his mysteries in that world, he knows it, he loves it, he writes it so well. There are mystery writers. There are sports writers. And then there's Michael Balkind." "A Masterful performance by Balkind. Through the detail and description in this book, Balkind effortlessly brings to life both characters and scenery in a way only expected of New York Times bestselling authors. Readers unknowingly become a part of the action- examining the interaction between organized crime, organized sports and the world of high finance. DEAD BALL is a refreshing new thriller, blending murder, mystery, intrigue and suspense. There is something for everyone. A real page turner!" Jeannine - J.R. Reardon - Attorney & author of the legal thriller, "Confidential Communications." 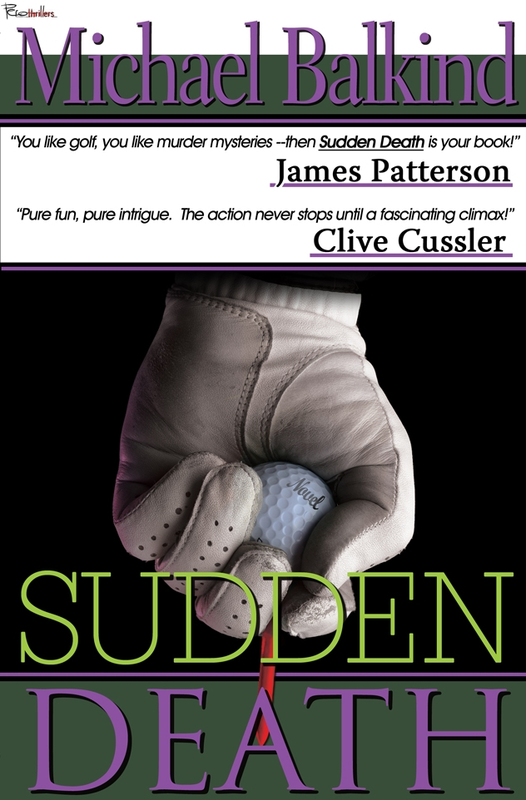 Author Michael Balkind introduced us to Reid Clark, golf superstar with the attitude of a prima donna, in Sudden Death. As the book progressed, Reid transformed into a sports figure we all would love, as well as establishing Michael Balkind as one heck of an author. His Reid Clark sequel, Dead Ball, hits it out of the park. Reid Clark's dream to have a facility where talents from all sports can converge and learn their craft has become a reality - AllSport is the best place for the best to learn. Something terrible happens - a dead body is found on the grounds. Turns out it is Bob Thomas, Reid Clark's best friend and Chief Financial Officer of The Inner City Sports Foundation and AllSport. Reid is devastated, but determined to find out who would kill such a good man. With Buck, Reid's colorful agent and friend, as well as other characters from Sudden Death, the authorities and friends try to figure out why Bob Thomas was killed and dumped on AllSport grounds. The process of the investigation proceeds in a believable fashion and will keep you guessing 'who done it'. Balkind knows how to spin a mystery. Dead Ball's actions are nonstop. Balkind's characters are well rounded and you care for each of them and the circumstances that have occured. Reid Clark, our hero, has grown into a man you respect and would root for on the golf course. I think I may root for him like I root for Tiger Woods! Mr. Balkind's AllSport Complex gives a broad canvas for future adventures as AllSport deals with, well, all sports to glean many stories from. The proof of the pudding of an author is if he can expand on a character or sequel to make us want more.I cannot wait for more adventures from Reid Clark and AllSport!! By Ellen George "ellen in atlanta"
"Where else can you find murder, mystery, elite sports, guns, greed, special ops, mafia, and glamour? Dead Ball has it all! The story takes place on the rarefied grounds of AllSport – state-of-the-art facilities that house & train top athletes in numerous sports to compete at the highest levels. It’s no surprise then, that combining the world’s most highly skilled and competitive athletes, with the best training facility in the world, and all of the rivers of money that follow and flow, makes for a combustible mix. Cutthroat tactics abound throughout the book, the players are many, and the high-stakes world of amateur & professional sports makes for a thrilling read. A brazen murder is committed and the list of suspects with plenty of motive and opportunity is long. Then the body count grows. The sports world is one where all kinds of people come to play, not just the athletes, and rules of the game are sometimes subject to dangerous interpretation. Is murder just another form of competition? Is it no more than a price to be paid as a means to an end? Or is it revenge? Dead Ball is full-throttle action from the very first page!" "I enjoyed this book just as much as the first one. I wasn't ready for it to end. How soon before we get the next book?"